Get your friends together for a movie screening with us! 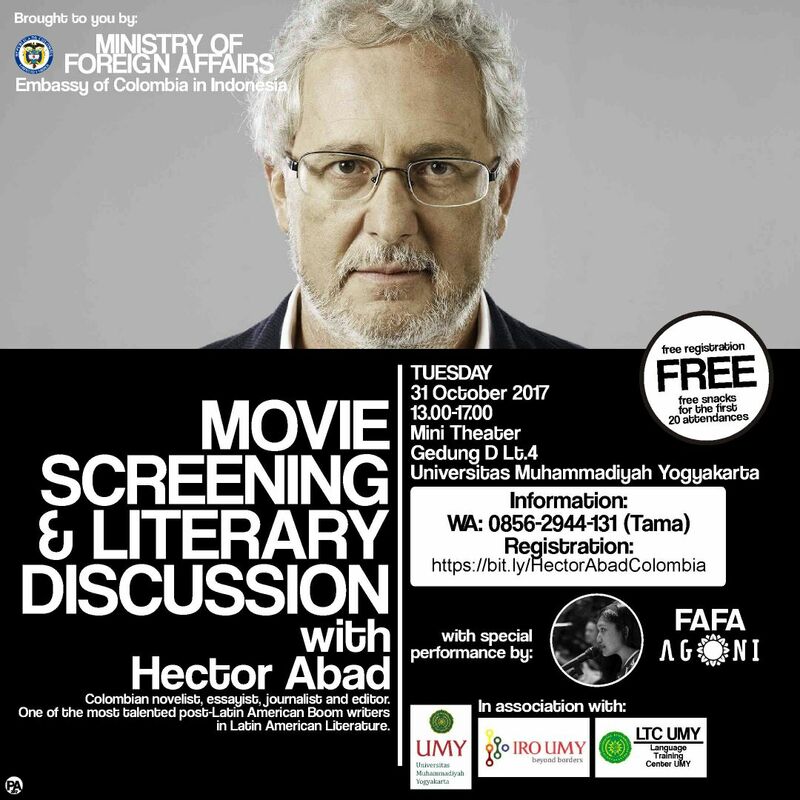 Proudly presents from Colombia and also a literary discussion will be given by his excellency Hector Abad . Do come and register yourself . Venue : Gedung D Lt.4 Universitas Muhammadiyah Yogyakarta.